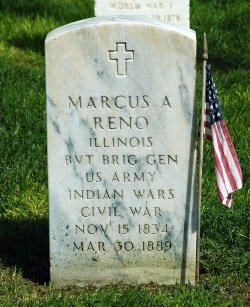 The transcripts of the 1879 inquiry into the conduct of Major Marcus A. Reno at the Battle of the Little Bighorn make for fascinating reading. Not only does it provide extensive testimony from surviving participants of the battle, it is a view inside frontier army politics and a glimpse of some interesting personalities who served in the Indian Wars. There is a great deal of subtext in what is said and left unsaid by the witnesses. 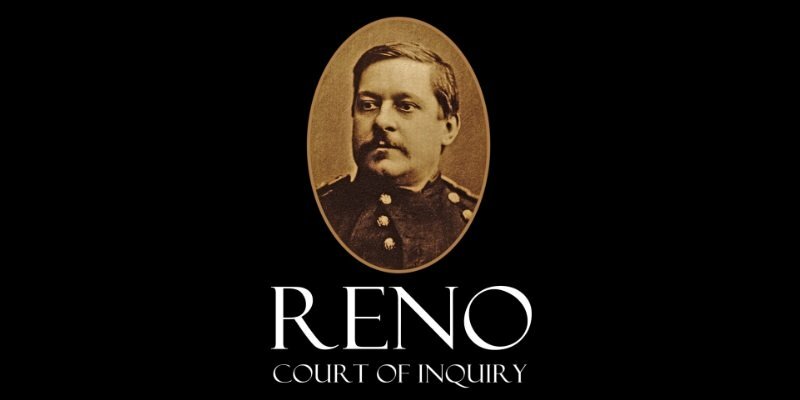 With the hindsight of 139 years, it’s sometimes aggravating to note that certain follow-up questions were not asked by either the army lawyer or Reno’s defense counsel. Among the interesting topics discussed in the inquiry was whether Benteen could have united with Major Reno in the timber before the retreat, what the condition was of the horses and men that morning, the slaughter of the horses and mules inside Reno’s defense lines, the command’s confusion and irritation over where Custer could possibly be, and more. Reno had requested the inquiry. He had been pilloried in the press and in a book by a journalist, called a coward, and saddled with the responsibility for Custer’s death, even by the general’s widow. President Rutherford Hayes acquiesced to Reno’s letter to him on the matter and the inquiry convened in early 1879, lasting a month. Reno was permitted to submit a list of witnesses on his behalf. 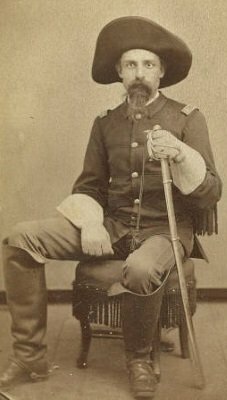 “The charges against Major Reno rest largely on the testimony of two mule packers, a doctor, an Indian scout, a sergeant and an Indian interpreter.”—Lyman Gilbert, Reno’s counsel. Some 300 men survived the two days of battle at the Little Bighorn, all of them under the command of Reno. (More than 200 died with Custer on the first day.) Of those survivors, the witness list is rather selective, numbering only 20 and leaving out some whose testimony we sorely wish we had on record. Yet, important voices were recorded, including Frederick Benteen, Edward Godfrey, Fred Girard, John Martin, Dr. Henry Porter, and civilian packer Churchill. Q. When Major Reno dodged the bullets he said he did not want to be killed by Indians? Q. Did that indicate fear to your mind? A. Not fear. I probably thought it was nervous timidity. Godfrey, years later, came to a more sympathetic view of Reno, apparently causing a break with his friend, Fred Benteen. An important evidentiary question was whether Major Reno was drunk while in command, as two civilian packers alleged. It was common for frontier officers to take flasks of whiskey on campaign. Sadly, drinking and gambling were among the few social activities available on the frontier. While at the Powder River supply depot before and after the battle, civilian suppliers made a small fortune selling drink. There is both historical and archaeological evidence for this (see Supplying Custer, Clark, 2015). Reno, of course, fervently denied being in any way incapacitated. The survivors, while hesitant to label their commander a coward, were less than enthusiastic about his actions on the 25th and 26th of June, 1876. 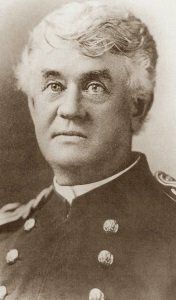 Rather than state that Reno was lacking, they tended to state that it seemed to them that Captain Benteen was actually in command. Q. Who seemed to be in command giving directions and giving orders to the men? A. The officers I saw were Captain Benteen and Captain Weir. Q. State whether the conduct and example of Major Reno as commanding officer was such as tended to inspire the men of his command with courage, coolness, and confidence, or the reverse, describing his conduct fully as it came under your observation during the engagement. A. I think it was all right, sir. Very likely, the Victorian usage of the phrase “all right” was different our usage of “alright” today. Nevertheless, this is hardly a rousing endorsement of a fellow officer. In the 142 years since the battle, controversy over the feelings of some of Custer’s officers towards their commander has never abated. Some contend that Reno and Benteen (who had a well-known antipathy to Custer) were tardy in their advance towards the location of Custer’s fight on the afternoon of the 25th. The evidence is clear that they could not make the advance. And Custer was already dead. Q. 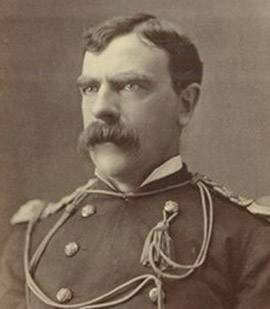 Did you go into that fight with feelings of confidence or distrust in your commanding officer, General Custer? A. No, sir, our relations were friendly enough, and if my own brothers had been in that column, I could have not done any more than I did. Q. The question is, whether you went into that fight with feelings of confidence or distraught? A. My feelings towards General Custer were friendly. Q. I insist that the question shall be answered. A. Well, sir, I had known General Custer a long time and I had no confidence in his ability as a soldier. I had known him all through the [Civil] war. In the end, the court issued a lukewarm finding that there was not sufficient evidence for a court martial on the basis of cowardice. 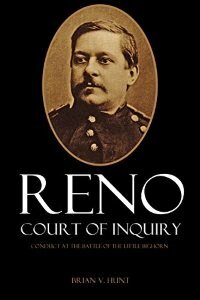 They did, however, state that the testimony lauded the contribution of other officers over that of Reno. Slipping further into alcoholism, Reno’s career never really recovered. He was eventually court martialed for a Peeping-Tom incident and forced out of the army. He died of pneumonia after cancer surgery in 1889. In 1967, a military review board reopened Reno’s 1880 court martial. The decision was reversed and Reno was given an honorable discharge. His remains were re-interred at the battlefield. Given the pain he suffered over the questions about his actions at the Little Bighorn, I wonder if he rests well there.